A classic favorite, create picture-perfect snow globes! 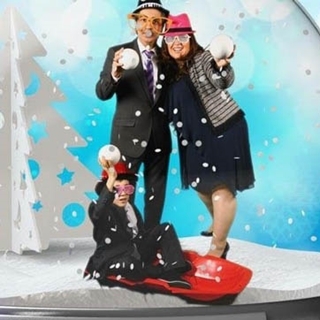 Forget putting the photo in a snow globe…put the people in one! A classic favorite, the Photo Snow Globe features your likeness encapsulated in the liquid and snowflake/glitter-filled globe. Your photo is taken and instantly made into a custom, unique snow globe, ready for you to take home.